The proposal would have made it easier for the board overseeing the Honolulu rail project to take action. Oahu voters were rejecting Honolulu’s lone charter amendment proposal Tuesday, with the latest returns showing it trailing 53.0 percent to 37.4 percent. The ballot measure was essentially a housekeeping effort to help the local agency overseeing the island’s rail project, making it easier for the Honolulu Authority for Rapid Transportation board to vote to take action. But the measure’s failure could also lead to delays on items such as change orders, Kim said. That could lead to more costs on a project that has already seen its share of significant price hikes. Last year, state leaders boosted the board’s overall membership to 14 as part of their latest multi-billion bailout package to rescue the beleaguered transit project. However, the move also created quorum complications in which eight of the nine voting members must now vote “yes” to pass anything. 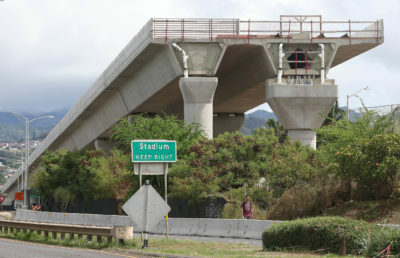 The rail guideway along Kamehameha Highway near Aloha Stadium. Under the board’s current quorum rules, even a single “no” vote can prevent action. The Honolulu charter amendment aimed to change the board’s quorum to six members, and it further specified that only a majority of the voting members would be needed to take action. It also would have added a 10th voting member, to be appointed by the City Council, bringing the total membership to 15. The question heading into Tuesday’s election was whether most Honolulu voters would support helping HART in any way after several years of staggering cost hikes and schedule delays — and whether voters could properly decode the amendment’s convoluted ballot language. Mayor Kirk Caldwell expressed doubts last month regarding whether HART and done sufficient community outreach about the measure. 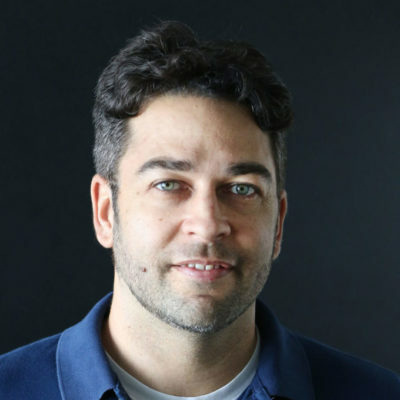 HART officials said the agency had a “pretty robust effort underway,” including several television interviews with Kim to better explain the measure. On Tuesday, reacting to the results, Kim said that HART probably started its outreach too late. Further, Kim surmised that voters simply voted “no” on the measure because it followed the unpopular constitutional convention measure and the invalidated constitutional amendment proposal. The current eight member-majority voting requirement nearly scuttled a deal with Hawaiian Electric Co. earlier this year to save taxpayers about $130 million in westside utility-line work along the rail line’s elevated guideway.